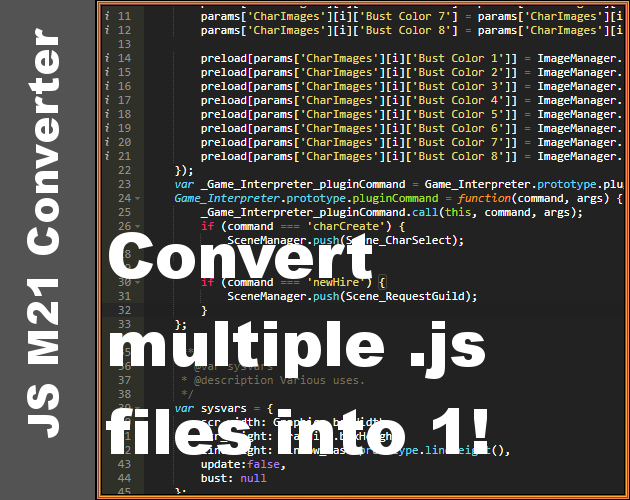 This app is used to convert a folder containing lots of .js files into 1 main .js file. By default it should sort them alphabetically, but just in case it doesn't, I've included Ace Editor so you can adjust the code to your needs. 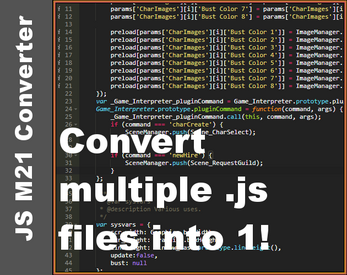 I made this so I can compile multiple .js files down into 1 for RPG Maker MV, as I don't like making 1 massive wall of code, and MV plugins tend to only use 1 script. It can be used for anything, though. Would it be possible to have a downloadable version of this?